No Christmas music till Christmas: Everything about the service on Sunday will set a contemplative and penitential tone. The songs we sing will be songs of praise and songs of crying out to God, but they will not be the songs of celebration, not Christmas songs (that’ll be set apart for Christmas!). In my home, we only sing Christmas music on Sundays during Advent: each Sunday (which is always a feast day since Jesus rose on a Sunday) we let Christmas “break in” a bit: we put up decorations, burn incense, play Christmas music, and enjoy some good food and drinks. But during the week, we sing “O Come, O Come, Emmanuel” or the “Trisagion” during our family worship times in order to keep our focus on Advent. Readings that Remind us of our Sin: Another thing you’ll notice at our services is that the Scriptures appointed each year for Advent point us to our need ….Not for presents… but our need for repentance. These readings can be great texts for study during the week.Telling Time Differently: Christians tell time differently than other groups of people. For us, Sunday is the first day of the week because Christ rose from the dead on a Sunday. For us, Friday is a fasting day because Christ died on a Friday. Even our yearly calendar is a bit different. Advent, the time of preparing for Christ’s appearing, is the Christian New Year. And this is so appropriate: we start the new year with our need to repent, focusing on our Savior to come. Want a new beginning? Ask God for it during Advent. Renewing or Restarting Family Worship: Since Advent is the "new year," why not start (or restart) the practice of "family worship" in your home? The idea here is simple: as a family, pray together and read the word together, and (if you can do it) sing praises to God together. Though it can be work, I can guarantee you that God will bless your time in family worship if you give it a chance. Why not try it out for the five weeks of Advent? A great way to build a great habit! Fasting: Though there is no prescribed fast during Advent, it is appropriate to fast any time of year (the exception being celebratory seasons Christmas and Easter). Perhaps this Advent you can fast from meat on Fridays and remember that Christ is the source of your life… Or you could fast from lunch on Wednesdays and join some other Christian friends in prayer during your lunch hour. What other thing could you give up this Advent that might help you turn to the Lord more in prayer? Serving Our Community: There is never a bad time to serve your neighbor. But this time of year is particularly difficult for many people. Who can you reach out to and bring joy to this Advent? At Good Shepherd we are hosting, in junction with two other churches and three businesses, a Family Christmas Caroling party (Dec. 7th) in order to provide a free family event for our community. It is a chance for us to talk about the meaning of Christmas with our neighbors and bring our community together for a good time. Praying for others: Again, it is always good to pray for your friends and family. This Advent at Good Shepherd each family will be given another family in our church to pray for. Who has God put in your life that you can pray for each day during Advent? Does anyone come to mind? Telling others about Christ: When was the last time you talked to a friend about Jesus? Or asked them what they think and believe about Jesus? Advent is a great time to simply ask your friend or neighbor: what do they think about Jesus? His birth that we are about to celebrate? What about you? Anything you can suggest? 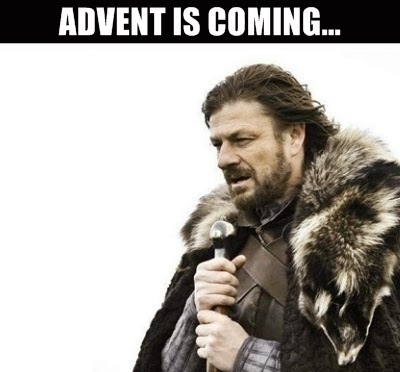 Advent is Coming... We are just two Sundays away from the season of Advent. Advent is more than just a pre-Christmas season, it is a season of preparation as we ready ourselves for worship during Christmas (the 1st Coming of Christ) and as ready ourselves for Jesus Return, the Second Coming of Christ. The word "Advent" means "coming" or "arrival," and it is a season where were prepare to celebrate the first advent of Jesus by anticipating his second advent. The tone of Advent in Church is different than what you'll see out in the world this time of year. 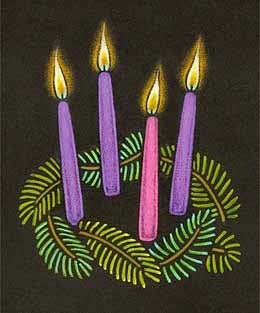 On Sundays during Advent, you'll notice the liturgical color (seen in the stoles of the clergy) will be purple. Purple, here, is a sign of penitence. 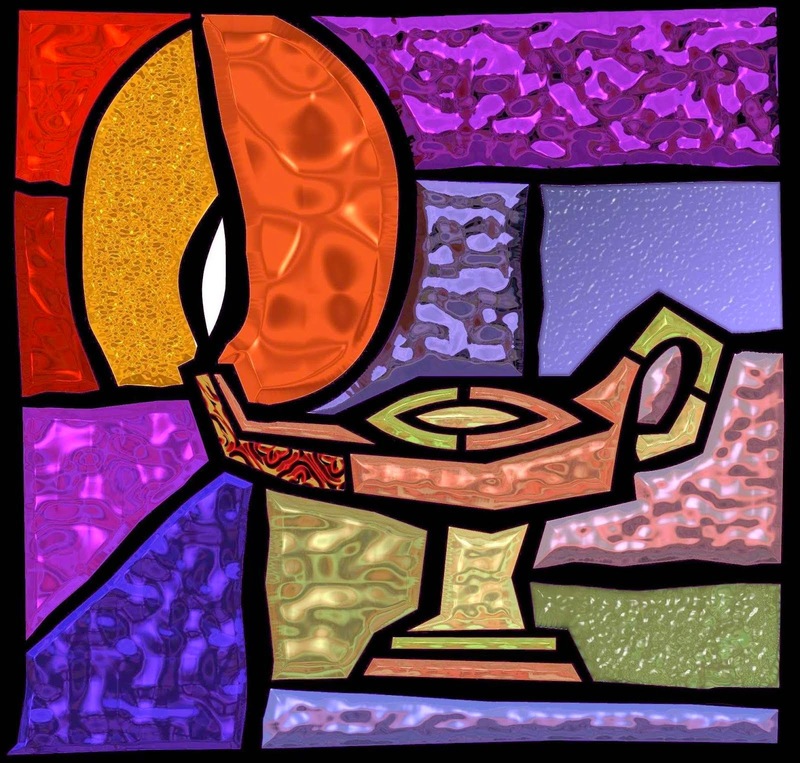 The observation of Advent, as a preparatory and even penitential season, is an old Christian practice. It may go back as far as the 4th century A.D., but it first appears in the liturgy of the Church in the 8th century. It is an old Christian practice to have an extended time to reflect on our sinfulness and the rather dark reason behind both of the Lord's advents: that Jesus comes to us in order to deal with sin. As we navigate 21st century America during this time of year, we may be tempted to ask: "Do we really need this darker kind of Advent?" One only has to look at the commercialization of Christmas and the distracted lifestyle that most of us live this time of year to find the answer. We really do need this kind of Advent, and we need God's Spirit to work in us during this season. We need a reminder of deeper realities than what we typically deal with this time of year: year-end bonuses, breaks from school, endless parties, family visits, and Santa. There are tons of people out there who rant about putting the "Christ" back in "Christmas," but the way to recover Christmas is to rediscover Advent. In the next post on Advent, I'll discuss a few ways we can observe Advent in our lives during the week and on Sundays in worship.